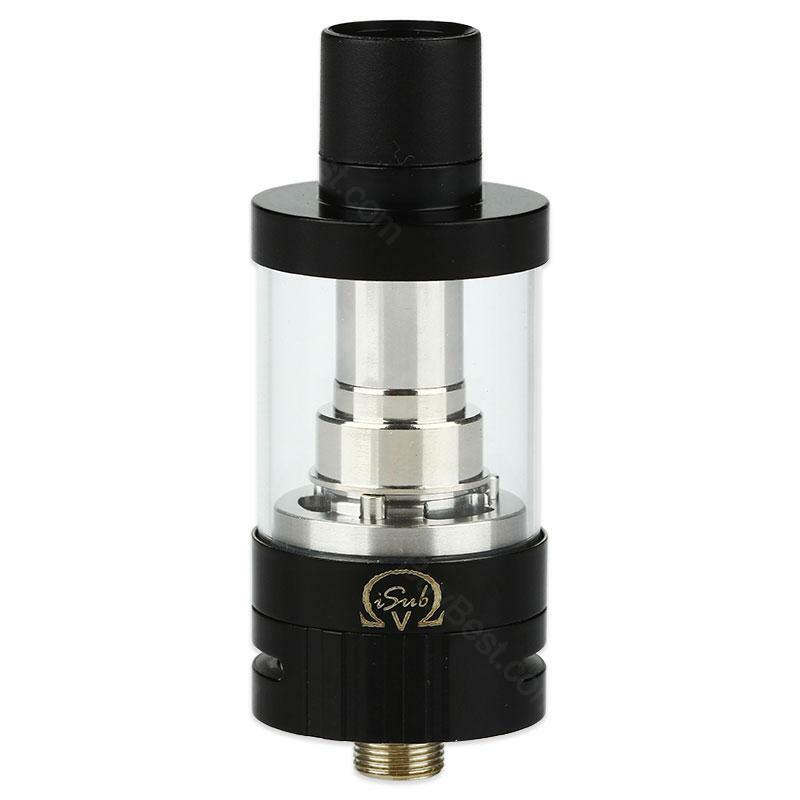 Innokin iSub V Sub-Ohm SS316L Tank is Innokin's newest Tank, has 22 mm diameter and 3 ml capacity. Stylish appearance, five colors available. Innokin iSub V Sub-Ohm SS316L Tank is Innokin's newest Tank, can delivers more steam and flavor than previous Tanks, giving you a different smoking experience. It has 22 mm diameter and 3 ml capacity, while using 0.5ohm SS316L coils. Equipped with the latest top-fill system and overflow-free coil exchange system, the iSub V can make you easily change the liquid smoke, and can also prevent liquid smoke leaks. Stylish appearance, five colors available. • Quick Links: Innokin iSub BVC coil ; Innokin iTaste iSub coil. Great tank for Flavor and Vapor production. I have many different tanks and this little relatively small cheap one stands up to all of them, a powerhouse for flavor and vapor production. If you need glass replacement "Fast tech" has them,takes several weeks too get them from china but worth it. I like Innokin brand, and this Sub ohm tank is also good for me. Nice! Sehr gute Alternative zu den teuren Stopfmaschönen. Die Hülsen werden vollständig und gleichmäßig mit Tabak gefällt. Bin super zufrieden mit dem Innokin iSub V. Kann es nur weiter empfehlen.